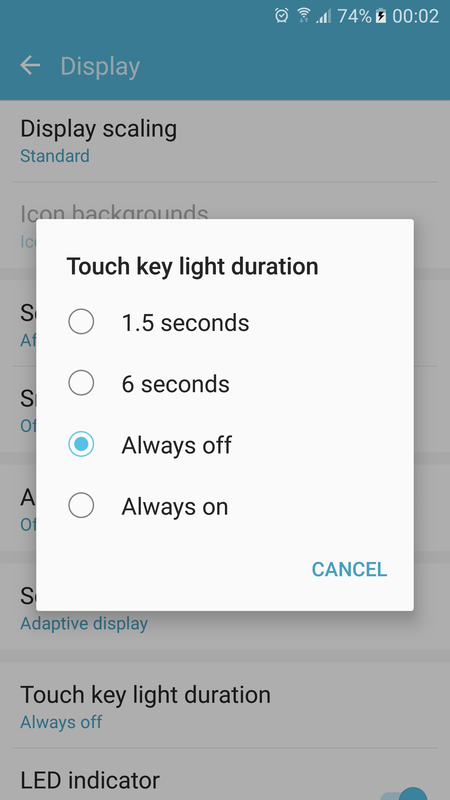 One feature that is somehow missing from Samsung Galaxy S7 is an option to configure “Touch key light duration”. Because of how firmwares are built today, all the “code and screens” are still there, it’s just limited to AT&T (for some strange reason). To get it back you could use Galaxy Button Lights 2 app. This however wasn’t good/elegant/clean enough for me so I added support for bringing the native configuration screen back to system Settings via my “All My… (Xposed Tweaks)” collection. I’m not fully satisfied with the code but so far I can’t think of anything better (mainly because of the trouble of hooking abstract classes).